There is greatness within you whether you believe it or not. Over the years there are certain skills that have helped me along the way that, in turn, may help you along your journey. These traits are by no means written in stone and some will not agree that these are important and that’s okay; what I can say is that these traits are at the backbone of some exceptional DBAs I’ve met along the way. Backups – Think about this a moment if you will. A backup is pretty much the most fundamental aspect of database administration one could do. Let’s put this into more general terms; I view database administration as a service ( I thank Grant Fritchey (B|T) for that – Database Administration as a Service). Now, with that said whether you are new to database administration or not it is imperative to find out what the backup strategy requirements are for your business units and get your backups aligned accordingly. Let’s take this a step further and ask this question; if you are taking good backups then are you restoring/testing these backups? Sysadmin Rights – I think this one speaks for itself. If you don’t know who has sysadmin rights on your servers than you are doing it wrong. Find out who has this type control on your SQL Server if you haven’t already done so. Disaster Recovery – Organizations and businesses that do not have a plan in place could fall into a few categories. The categories that I’ve seen which seem to be more prevalent, outside budget concerns, are realizing the importance but not knowing how to get there, and not knowing that a disaster recovery plan can even exist. Whatever the case may be laying out a good plan in case of disaster should be a must for any data professional. Monitoring – This is an integral part to any DBA related job. You have to be monitoring your daily processes, policies, and procedures. Whether you are utilizing home grown coding or monitoring utilities by third party affiliates it is an absolute must that the data professional is aware of processes that may go awry before they happen; or for that matter knowing that things are going smoothly as well. Earning Trust – you earn it with right acting, thinking, and ability to make decisions. Become personal – I was taught early on that most of the time people really don’t care about how much you know until they discover how much you truly care. Be Specific – one of the lessons learned over time is the need to be specific when communicating with a team, business unit, and executives. Keep an Open Mind – want to limit a group trying to become innovative? if so then keep a closed mind. Use this as a utility to learn and grow; it’s okay if someone’s opinion is different than yours. Shut-up and listen – sounds harsh I know but not really sure how else to get that point across. Becoming a great communicator you have to know when to dial it up, dial it down, and yes even dial it off. Knowledge is not always obtained by flapping your gums but rather listening and understanding situations. Check Ego at the Door – over the years I’ve seen it time and time again. When you can put arrogance aside and check it at the door some great things begin to happen in shops, teams, corporations. Read Between the Lines – I’m continually amazed at some of the mentors I’ve looked up to in the DBA realm and their conscious ability to read between the lines. Keep your eyes and ears open. Listening – Just like communicating and talking I think there is as vast difference between listening and hearing. Next time you are in a conversation don’t just hear the other party but listen to them, and by listening don’t just judge but rather show you understand what is being discussed. 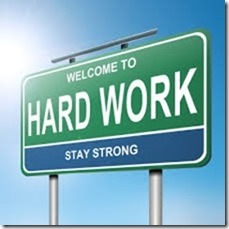 Work Ethic – two words have never been so important in my own life and journey. If you know me at all you know that having a strong work ethic is near and dear to me. A strong work ethic will result in respectfulness, dependability, dedication, accountability, determination, and humility. No one can do it for you; it has to be from within. Character – can be defined as what determines how we respond to the situations and circumstances of life. One of the first jobs I had after my ball playing days was a position at a local sports store. A regional manager had made his way in and as he walked back into the back room (which I admit was not always the cleanest place due to inventory etc.) there were several pieces of paper laying in various places on the floor. Now, he didn’t know anyone was behind him but he stopped at each piece, picked it up, and threw it away. You may ask what does that have to do with character? It left an impression on me that how you work when someone is not watching you does in fact make a difference. Do Not Compare Yourself – It is easy to get caught up in trying emulate oneself as others. Just ask Michael Jordan how many people tried to emulate him or some other renowned celebrity. I’m here today to tell you that while you can take traits from some of the best in the business; you will not be them and that’s okay. Your journey is just that; your journey – no one else’s. Own it and make it yours and along the way keep learning. Focus on your greatest sphere of influence; it’s time to tear down the walls between teams, business units, and organizations. These 10 traits mentioned don’t even come close to representing any complete package of skill sets, but what it is intended for is to provoke some thought around even the basic essentials of what makes up a successful data professional. Great comments, would echo the comment for listening. How can you know what the client wants it you don’t listen?